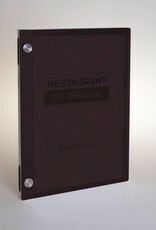 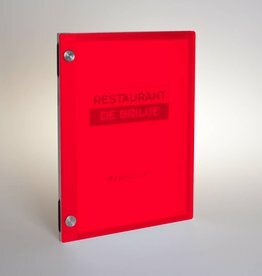 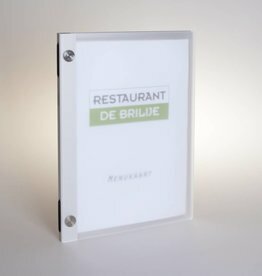 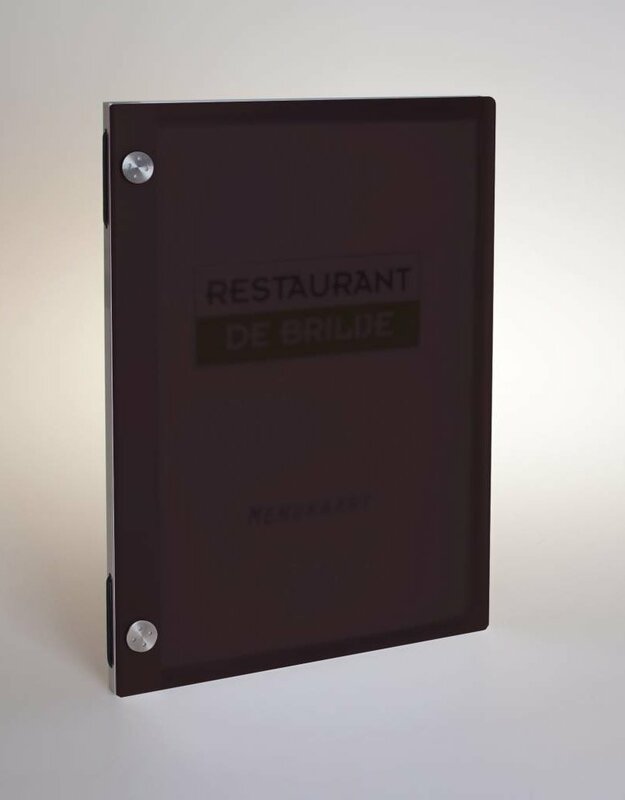 Menu folder Albano manufactured with transparent acrylic Frost-Titan front and aluminum back/spine. 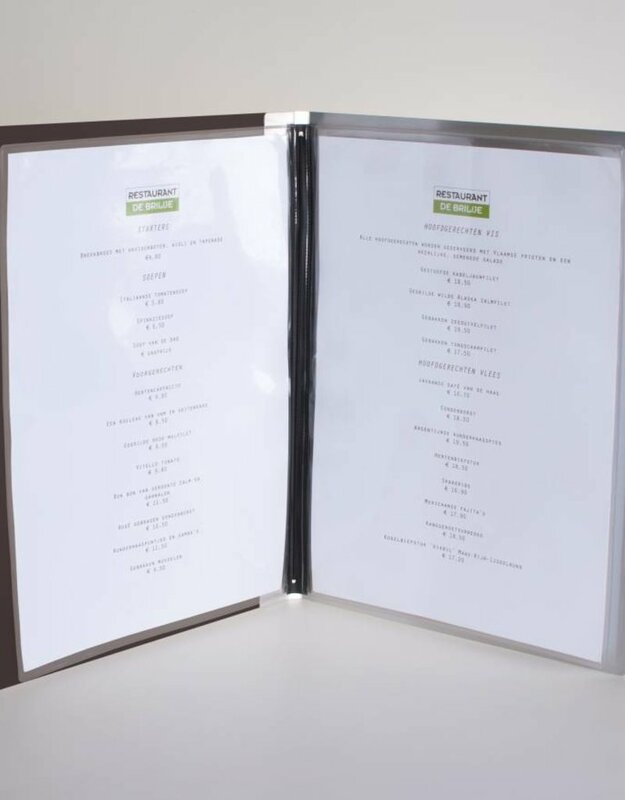 Menucard insertion sheet (sold separately) can be mounted with included elastic. 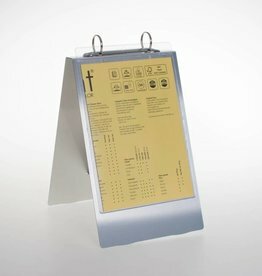 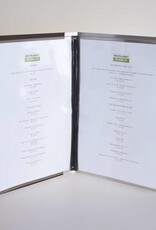 Menu card insertion sheet A4.